Mobile Bay Monthly. October	1987. 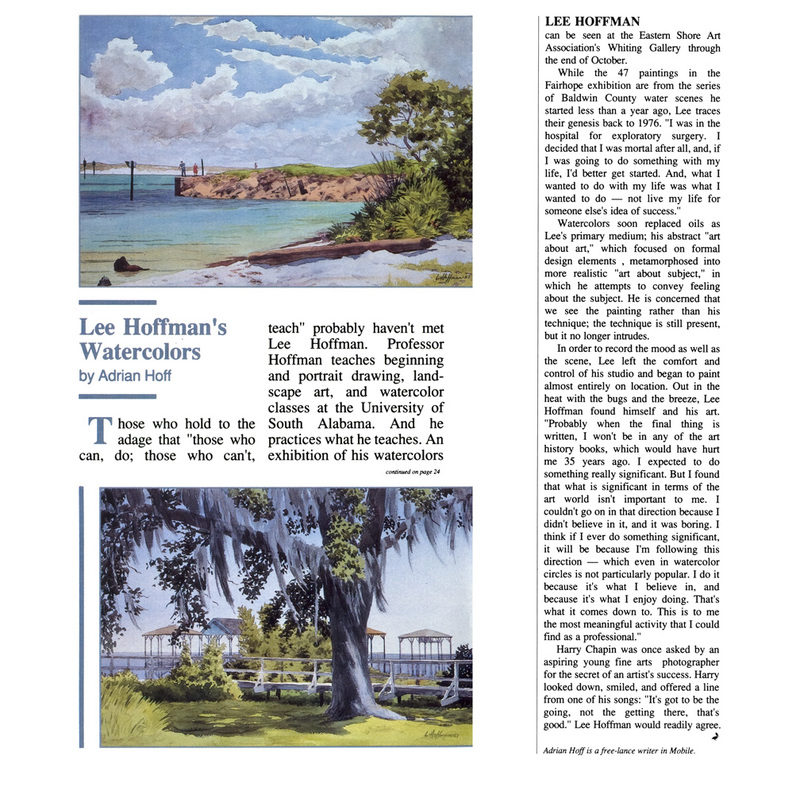 Lee Hoffman's Watercolors. Text and photos by Adrian Hoff (my first MBM article).